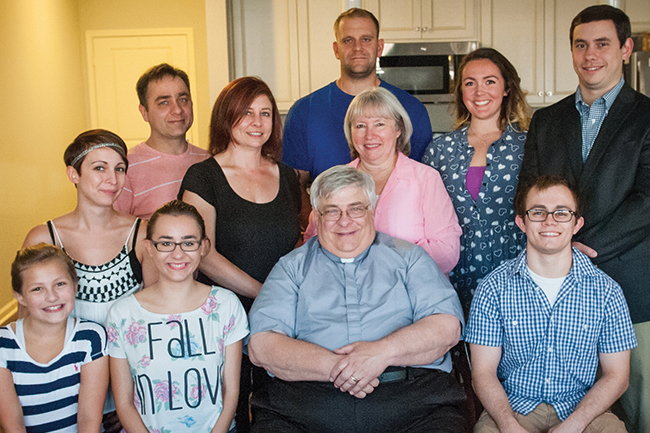 Deacon Tony Zimmerman is the lead archdiocesan consultant for the office of marriage and family life. What is the “mission” of spouses? What a lofty calling! I am reminded of a couple who, having been married for many years, decided to experience a “Living in Love” retreat. During prayer at the close of the retreat, the husband shared how touched he was to realize that their marriage was really important to others. Consider this: A recent Time magazine article stated that “55 percent of young Americans believe that marrying and having children isn’t very important.” In 1970, “79 percent of American adults were married; today only 52 percent are married. “What has happened? Perhaps we have forgotten that the kind of marriage that inspires others to risk giving their lives away to another doesn’t just happen by accident. The kind of marriage that allows others to rediscover God’s love takes work and God’s grace. Bishop Thomas J. Olmsted, of Phoenix, wrote in “Complete My Joy”: “Relationships are built with the material of time.” The “material of time” is a precious and scarce commodity for most of us. Encouraging married couples to take time on a regular basis to build our marriage relationships is so vital to the life of the family and church that Archbishop Naumann has made this one of the three key initiatives for the archdiocese. Most of us probably wish we could simplify our lives to find more time. In order to avoid getting bogged down here, let’s begin with some simple steps. We are in the midst of National Marriage Week, celebrated each Feb. 7-14. We will also celebrate World Marriage Day on Feb. 10 with a Mass at St. Therese North, 7207 N.W. Missouri Highway 9, Kansas City, Missouri, at 2 p.m.
During the upcoming week, suggest to one another ideas for setting time aside each week for each other. It can be as simple as a walk together (once it warms up!) or retreating to your room for some quiet time with cheese, crackers, wine and your favorite music. Go online to: archkck.org/joyful-marriage- project-home. You will find upcoming events, monthly opportunities and ongoing ways for enriching your marriage. Commit to choosing one enrichment or retreat that you will experience in the coming months. As your love and joy for one another grows, perhaps others will look to you and decide that marriage (and children) are important. Your love will help others rediscover God’s love.